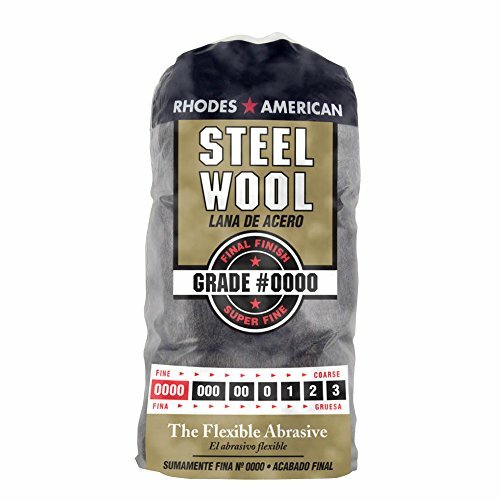 Use steel wool instead of sandpaper for extra fine wood working projects. Use steel wool to clean and polish chrome when combined with the right products. Steel wool can be used to keep certain pests out by inserting it into holes. Use Homax Steel Wool to when cleaning and refinishing retro wooden furniture. High Temp Tape, ELEGOO 4 Pack Polyimide High Temperature Resistant Tape Multi-Sized Value Bundle 1/8 , 1/4 , 1/2 , 1 with Silicone Adhesive for Masking, Soldering etc. Elegoo 4 Pack High Temp Tape are made from polyimide film with silicone adhesive. They are compatible with a wide temperature range as low as -73 C (-99 F) and as high as 260 C (500 F). For applications where extremes of heat and vibration are the norm, designers rely on it because of its ability to maintain its unique combination of mechanical properties under the harshest of conditions. 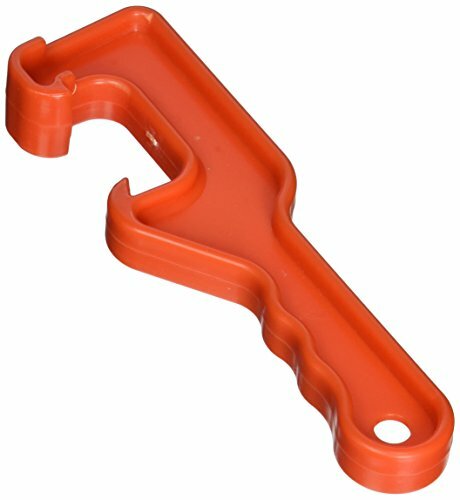 Linzer lid opener, 5 gal capacity, plastic, polyethylene. The 5425 plastic 5-gallon paint can opener is durable easy to use. 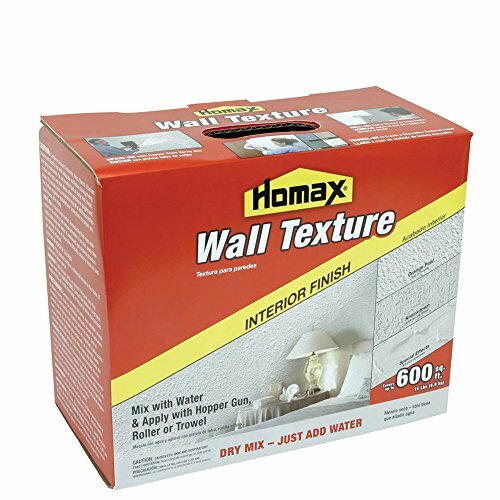 Homax Wall Texture is a premium-quality, smooth-bodied wall texture designed for spray, roller or trowel-on application for interior surfaces. Just add water to mix. Using different mixing ratios, this product can be applied in finishes ranging from orange peel/splatter to full-coverage, decorative texture finish. One 15 lb. box covers up to 600 sq. ft. 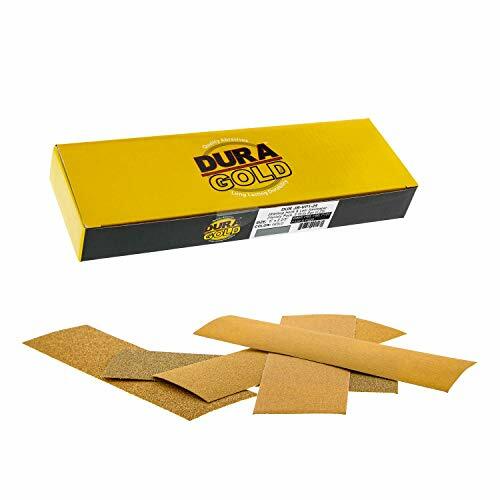 Features and Benefits of Dura-Gold Premium Sandpaper: Dura-Gold Long File Rolls are available from 80 to 400 grit for heavy stock removal to fine finishing. + Durable aluminum oxide grain delivers a fast, exceptionally long lasting cut providing increased productivity. + Propietary backing is tear resistant and stonger than the traditional backing on competitive brands. + High strength resin bonding provides superior grain support for longer work life and higher resistance to wear. + Maximum resistance to clogging and loading from a special stearate coating. + Even and consistent abrasive scratch pattern from a uniform semi open coat design. + Pressure-Sensitive Adhesive(PSA) Backing for easy application and removal. + Long File Rolls enable you to use all of the abrasive surface without any waste. 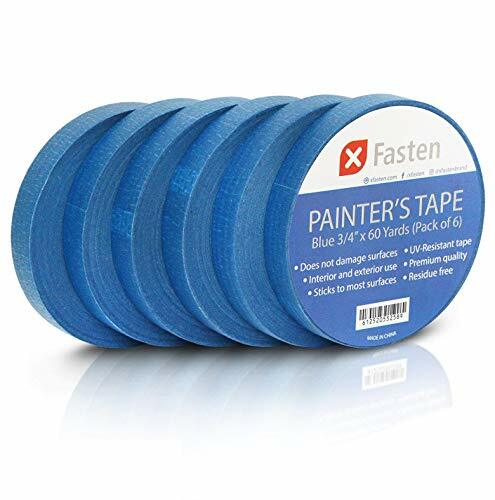 The XFasten Blue painter's tape allows the American household to achieve a professional-quality paint job by masking an air-tight adhesion to desired surfaces to prevent paint bleed-through, hence delivering sharp paint lines in the end. 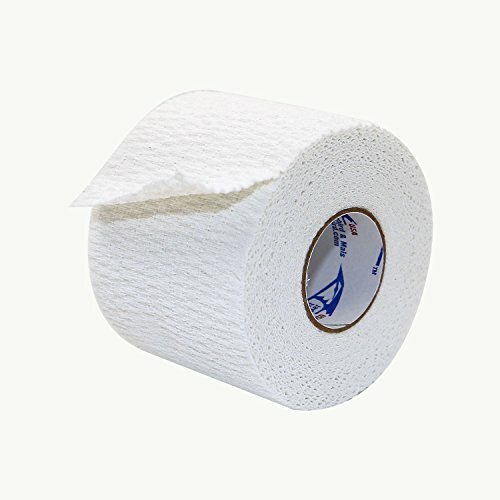 It comes in a pack of 6 long rolls at a fraction of the cost compared to other brands, giving you the best value for your money. The XFasten Blue Masking Tape can stay up to 2 months without having any gaps on its adhesion allowing you to have prolonged paint job projects. It does not leave any sticky residue, giving you an overall streamlined and clean look. Whether it be untreated or treated wood panels, glass, metal, porcelain, tiles or textured surfaces, you can never go wrong with this painter tape. XFasten's adhesive is top of the line and goes through several rigorous laboratory tests just to ensure that it stays strong but at the same time not aggressive enough to pull off surface finishes. The result is an extremely stable adhesive material that will protect and ensure the integrity of your surface finishing. 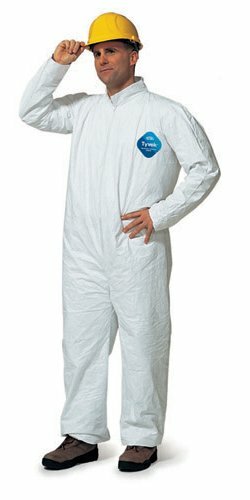 The blue masking tape backing is specially treated to resist UV, direct sunlight, and humidity. This tape is extremely convenient to use in any weather conditions. Even if the weather changes from time to time, this painter tape is sure to stay consistent and reliable. The problem that many people encounter with adhesives is that when they peel and cut off a strip from the roll, the strip starts to curl unnecessarily on the fingers, making the whole process extremely messy. That is not a problem with XFasten as it is treated to resist curling but still is highly conformable. Efficiently prevents paint bleeding and delivers sharp paint lines. Painters Tape that is ideal for paint jobs which require sharp and seamless paint design. 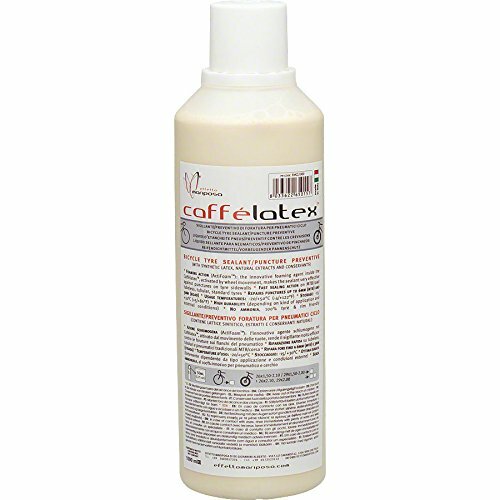 Stays up to 60 days, can be exposed to direct sunlight and other harsh conditions and can be removed easily without leaving any sticky and messy residue. Does not cause surface damage on delicate finishes and is resistant to UV light, humidity, and moisture. Our compounds are made from abrasive materials surrounded in a matrix of binders. What is Compound Used for? Our compound is used for sharpening knies on a strop and polishing metals. 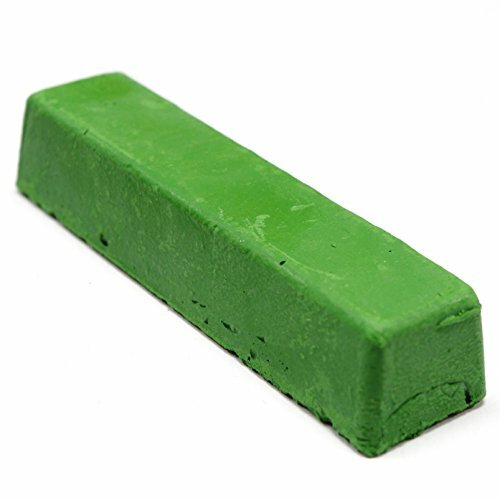 What can I use sharpen? Woodworking Chisels Straight Razors Utility Knives Hunting Knives Folding Knives Fillet Knives Kitchen Knives Chef's Knife How does it work? The compound works by realigning the very fine edge of the blade and polishing the blades surface. After use or sharpening the blade will have a slight burr this burr is what catches when you attempt to cut. If the blades edge is aligned the blade passes through with little effort. By stropping with the compound the knife the very fine edge of the blade will begin align, while the compound polished the edge. Step 1: Apply the compound by rubbing it onto a leather strop. The simplest way to describe this process is like coloring with a crayon, back and forth with light pressure. Step 2: Cover the entire leather surface with the compound. Step 3: Place the blade on the leather. The cutting edge should be near the edge of the leather. Adjust the angle of the blade by raising the spine (The back of the blade where it isn't sharp) slightly creating a wedge with an angle of around 15 - 30 degrees. Step 4: With light pressure push the blade up towards the top of the strop. 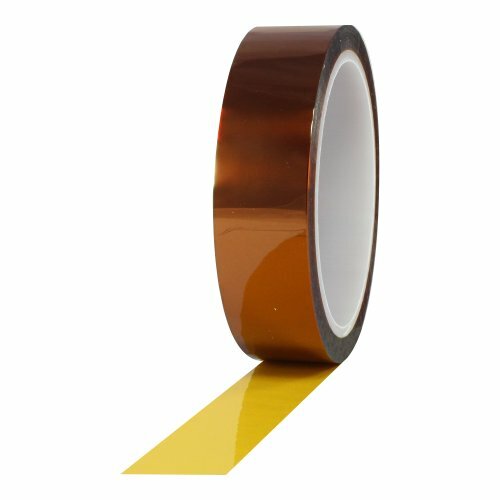 ProTape pro 950 polyimide film tape. It is an ideally suited for continuous high temperature operating conditions. 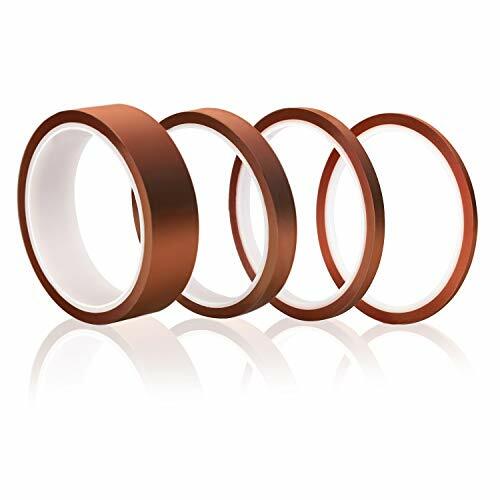 It is used as a ground, barrier and phase insulation in high performance torridal coils, high frequency motors. It can be used for end turn bundling and connection insulation in small motors. It is also used for cross-over insulation and out wraps on bobbin wound and form wound coils for large rotating machines to bundle conductors and reinforce insulation and it can also be used as wave solder masking of printed circuit boards. It combines a thin conformable backing with outstanding puncture, tear and abrasion resistance at high temperature levels. Thermosetting adhesive provides solvent resistance and outstanding high temperature adhesion. Features includes good adhesion, good tensile strength, low temperature application, short term, high temperature resistance, clean removal, good chemical and solvent resistance, UV resistant, easy unwind, good abrasion and moisture resistance, waterproof backing. Applications includes surface protection, powder coated surfaces, splicing, coil wrap banding, ciruit board protection. Polyimide film/kapton backing. 1-millimeters backing thickness (D-3652). 2.5-millimeters total tape thickness (D-3652). 24 pounds per inch tensile strength (D-882-91). 50 Percent elongation (D-882-91). 20 ounces per inch adhesion to steel (D-3330). 7500 Volts dielectric strength (D-149-97). 500 degree F oven residue testing temperature resistance. 350 degree F/180 degree C insulation class, centigrade. Measures 36 yards length by 1/2-inches width. 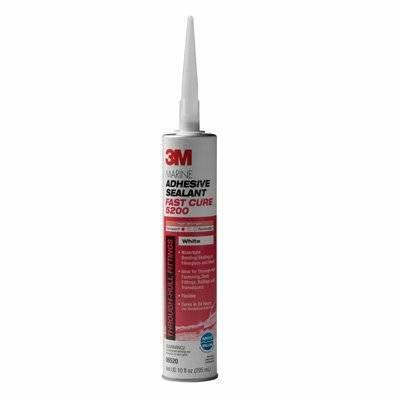 The caulking tools make corners without wasting caulk, silicone or grout, their smooth rear side can easily remove the excess sealant from the joint with little pressure. The caulking tools can be applied repeatedly and easy to clean with a damp cloth, convenient to store and carry, which helps reduce costs. The sealant removal is easy to hold by hand, they are useful tools for smoothing sealing lines, caulking lines, the 4 pieces different scrapers edges can be applied at any edge, corner, joint. The caulking tools can be applied for tiler, kitchen, bathroom, fitter sink, floor silicone sealant sealing and more. 3. Run the tool slowly along the seal, make sure they are work well. 4. Then let it all dry and rub off the thin layer left behind leaving you with good joints, enjoy your plumber work. 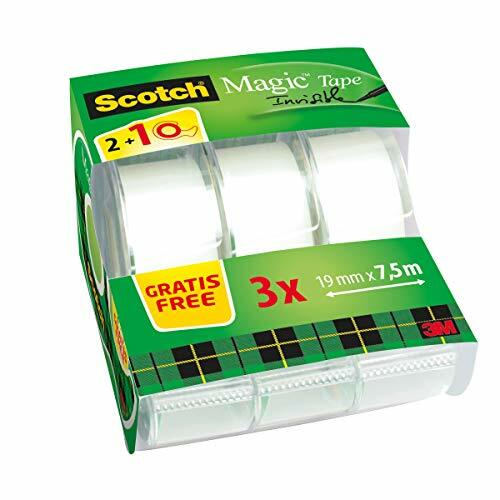 Pack: 3 x Scotch Magic sticky tape rolls in a practical dispenser for single-use the price of 2. Excellent properties: Scotch Magic tape is invisible on white Paper, can be written on, is invisible on photocopies, age-resistant and dispenses smoothly and quietly. 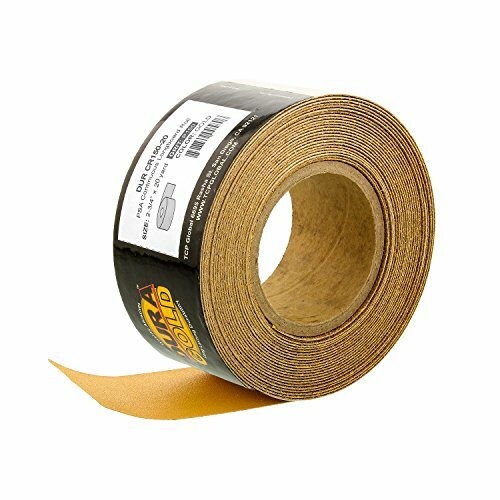 The office specialist: Whether repairing ripped documents or sealing envelopes-this matt sticky tape can be used anywhere in the workplace. Environmentally friendly: the solvent-free sticky coating and substrate made from natural fibres makes of Scotch Magic sticky tape an environmentally friendly product. Homax makes it easy to update a bathroom without the cost of a total remodel. 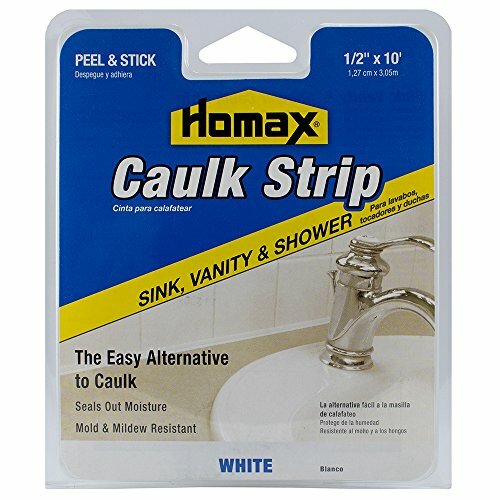 Homax caulk strip, sink, vanity & shower is a pre-shaped, flexible, peel-and-stick caulk strip. It resists mildew and seals out moisture that can damage walls by eliminating the gap where dirt can accumulate. Simply peel and stick the molding to the surface. The molded-in score line on this caulk strip assures uniform positioning against the surface for fast, professional results. To save time, use Homax caulk strip, sink, vanity & shower instead of regular caulking! white caulk strip 1/2 inch x 10'. Jaybird amp; Mais 4600 Jaylastic Select Premium Lightweight Athletic Stretch Tape is a premium bleached white long stretch fabric tape which is hand tearable. It has increased unwind tension and firm roll density. It is used for applications where you want to create support, but where you also want to achieve a greater range of motion. Since easily flexes good for wrapping around thumbs for Olympic Lifting. 4600 Jaylastic Select can also be used in conjunction with a white rigid non-elastic tape for a taping applications with memory characteristics. The tape has increased adhesion over current 4500 and 2550 Jaybird products. Non-sterile, for external usage only. Made in the U.S.Technical InformationCore: 1 inch diameterBacking/Carrier: bleached cotton/Lyrca/Nylon blended fabric clothAdhesive: hypoallergenic dry natural rubber (DNR)Thickness: 18 mils (carrier, adhesive)Adhesion: 18 ounces per inch (to stainless steel test panel) Tensile Strength: 32 pounds per inch (longitudinal). Bon's poly knockdown knife comes with a clear polycarbonate blade that is tapered to easily fit into corners. Blades are 12-Inch in height and are available in many size options. EZ Strip All Purpose Remover removes tough and sticky messes from various surfaces with ease! Tackle tough jobs from paint drips and spills, to tree sap, grime and grease, to all kinds of graffiti, stickers, and glues. EZ Strip products are water based, skin safe, and fume free. Clean up tough messes from glass, laminate, fiberglass, metal, wood, porcelain, plastic (may etch some plastics always test a small area first), furniture, windows, brick, ceramic, counter tops, flooring, granite, marble, concrete, stone, tile, carpet, rugs, upholstery, clothing and much more! Does the work of several products in one! More comfort for the hand, whatever you sand! 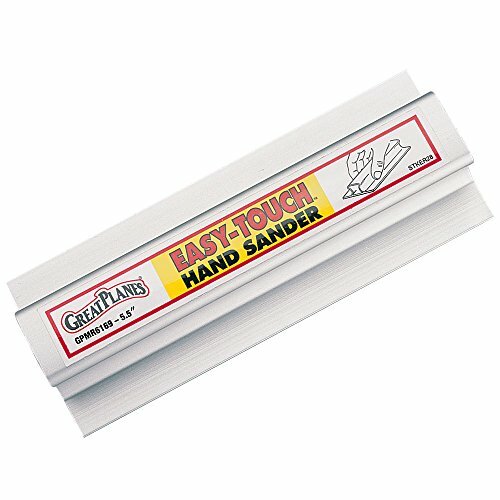 The Great Planes Easy-Touch Hand Sander is so durably made that it could easily be the last sander you'll ever need to buy. It's so versatile that it can be used on model boat hulls and bookshelves, miniatures and scale models, doll houses and home improvements with uniformly excellent results. And it's so light and comfortable to the hand that it allows easy handling and firm control wherever it's used. Perfect for working on small projects in tight places for a variety of applications including hobby, school, art and craft projects. Sanding bed edges are deburred to prevent digging in, and slip easily into and under areas other sanding blocks can't reach. Innovative contoured handle allows thumb and forefingers to wrap around for a full-hand grip, easing fatigue as it aids control. 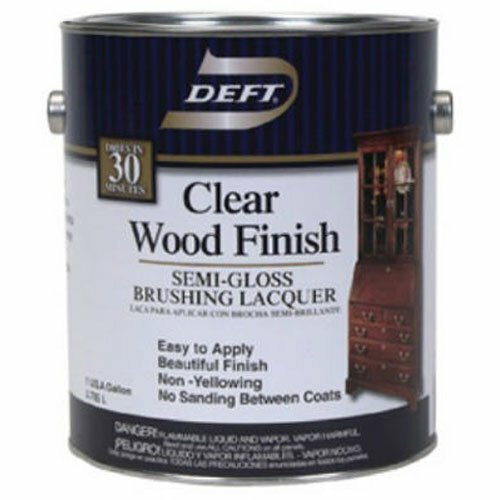 Sanding surface remains flat to within 0.008, to ensure smooth, even results. 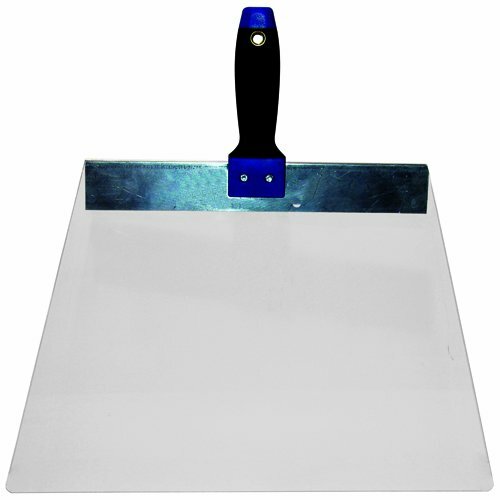 Uses adhesive-backed sandpaper, for a no-slip grip that covers the entire sanding surface and won't bunch or gap.